Purnima, full moon night, is associated with Goddess Lakshmi. If there is full moon night during Friday, then it is doubly auspicious. By offering pujas and doing certain rituals to Maa Lakshmi on purnima night, a person will see increase in wealth and social stature. What To Do On Purnima Day To Please Goddess Lakshmi? On Purnima day, Lakshmi – Ganesh murti, or picture, should be placed facing north in the safe; or where you keep money regularly. The murti should be placed on a red color cloth. Ganesha should be placed on the left side of Goddess Lakshmi. 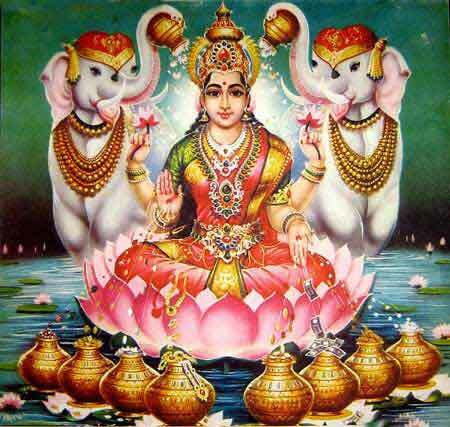 On the full moon day, seven shells should be offered to Goddess Lakshmi before sunset. It should be then put under earth on the night of full moon day between 11 pm and 12:00 AM. Dig earth and cover it with mud or put it inside a pot and cover it with mud. It is believed that the person will be blessed with wealth. Keeping gold coins having Goddess Lakshmi or Ganesha embossed in puja area or safe will make a person financially secure. Offering water to peepal tree in the evening earns merit. Buying Ganesh or Lakshmi murti made of metal on full moon day is considered good. Keeping gold, silver and other ornaments near it is considered auspicious. Keeping Haldi or turmeric where you keep money regularly is considered auspicious.